2018 Essex Book Festival features a cricket commentary legend, crime-writing royalty, some of science’s biggest brains and so much more! Next year’s Essex Book Festival promises once again to bring an eclectic mix of writers, performers and broadcasters to the county. With more than 100 events taking place during March across unique venues the length and breadth of Essex (including a Secret Nuclear Bunker and Napoleonic Martello Tower), exploring highly topical themes, this festival is truly a book event like no other in the UK. 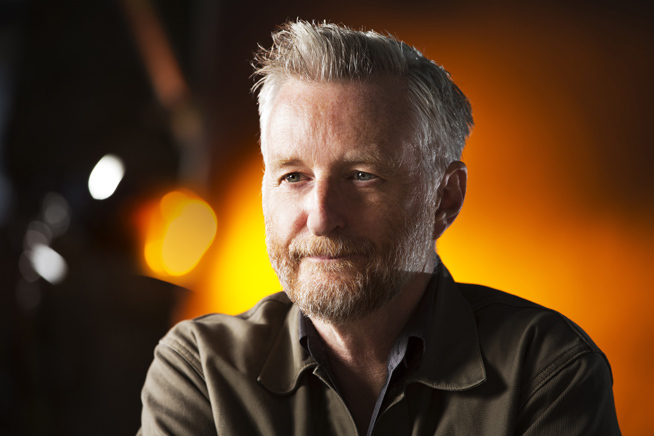 Essex singer-songwriter Billy Bragg will launch the 2018 Essex Book Festival at Anglia Ruskin University on Wednesday 28 February. The 59-year old musician first came to prominence with his politically-charged debut album; Life’s a Riot With Spy Vs Spy, before finding wider success with his third release, Talking with the Taxman About Poetry. Since then Bragg has broadened his scope as high-profile broadcaster, campaigner and author. Indeed, Billy will be promoting his latest book Roots, Radicals and Rockers: How Skiffle Changed the World at the festival’s launch event in Chelmsford. Roots, Radicals and Rockers delves into the history behind Lonnie Donegan’s 1955 chart breakthrough, Rock Island Line, and explains how skiffle paved the way for the new era of guitar-led music from the likes of the Beatles and the Rolling Stones. Politics are never far from the festival, especially with three core strands running throughout the month-long series of around 100 events. Following appropriately literary themes, War and Peace, Crime and Punishment and Brave New World the festival has again attracted a stellar list of contributors. With the continuing commemorations of the centenary of WW1 providing an important backdrop to the festival, join artist and national treasure Maggi Hambling, writer and stand-up comic AL Kennedy, and writer, artist and author of Shy Radicals Hamja Ahsan at Firstsite in Colchester on 4 March for our first Festival Peace Panel. Meanwhile, at the atmospheric Jaywick Martello Tower, near Clacton, there is a special Children’s Peace Panel on 29 March. As the local district, Tendring, is also twinned with Valence in France, Biberach in Germany and Swidnica in Poland, local children will be writing Postcards of Peace to their counterparts in Europe. Another innovative venue hosting the festival is the Secret Nuclear Bunker at Kelvedon Hatch, near Brentwood. It is certainly up ‘there’ when it comes to an unusual place to host part of a literary gathering. On Sunday 25 March, the festival goes ‘underground’ as the Silver End scout troop takes the nuclear option where they’ll be creating a peace wall, amongst numerous other activities and workshops for the family to enjoy. However, the highlight of the day must surely be the opportunity to see and hear The Times’ columnist David Aaronovitch and writer Jamie Bartlett, the Daily Telegraph’s expert on social media and tech’, discuss propaganda during times of war as part of the festival’s Picking Apart Propaganda Panel, our second Festival Peace Panel chaired by Rachael Jolley, Editor of Index on Censorship. In Southend-on-Sea, the Crime and Punishment strand forms a key part of the ever-popular Golden Age of Crime Weekend (Saturday 10 to Sunday 11 March at the Park Inn Palace Hotel). During which the celebrated husband and wife crime duo Nicci French – AKA Nicci Gerrard and Sean French – will be talking about their latest book, Sunday Morning Coming Down. The Science and Invention Hub in Chelmsford (in conjunction with the activities at the Secret Nuclear Bunker) launches with a performance of HG Wells’ classic tale, The Time Machine, at the Cramphorn Theatre (Thursday 1 March). On Saturday 24 March, Anglia Ruskin University is hosting a day jam-packed with hands-on activities for kids, while the presenter of BBC Radio 4’s hugely popular The Life Scientific programme, Jim Al Khalili, is sure to be a big star when he appears on Wednesday 28 March at the university to discuss theoretical physics and quantum mechanics. Don’t worry, you don’t need to be Stephen Hawking or Brian Cox to understand what he’s talking about, as Jim is a master at making highly complex subjects accessible and enjoyable. As his Radio 4 fans will tell you! Also set to be a huge hit with the audience in Southend will be non-other than Henry ‘Blowers’ Blofeld. The very definition of ‘fruity’ and ‘cove’, Henry made his name as an integral member of BBC Radio’s Test Match Special team and for his catch phrase, ‘my dear old thing’. Recently retired, Blowers will be in The Forum, regaling you with tales from his time behind the mic’ and anecdotes about the gaffes galore that TMS became so universally adored for. Fans of farce should head to the Lakeside Theatre, part of the University of Essex’s Wivenhoe Park campus to hear Michael Frayn discuss his brilliant career as both a novelist (Copenhagen and Democracy) and playwright (Noises Off). The magnificent Layer Marney Tower was, in part, built to wow King Henry VIII, so it will certainly provide an impressive setting for Jenny Uglow OBE’s expert talk on the extraordinary life and career of Edward Lear (Sunday 4 March). Jenny will trace his life, from his troubled childhood to his striving as an artist, tracking his swooping moods, passionate friendships and restless travels. His ‘nonsenses’ are elegantly unpicked (without losing any of their fun) and his complex poetic genius revealed. Other big names, including Professor Robert Winston, Dr Annie Gray (Radio 4’s Kitchen Cabinet), and Sally Magnusson will join a plethora of local, national and international writers, poets and authors appearing in some 40 venues across Essex! First there was the classic Don’t freak, I’m a Sikh tee shirt. Now comes Don’t Panic I’m Islamic: Extreme Comedy at The Mercury Theatre, Colchester. In partnership with Saqi Books and Essex Cultural Diversity Project, this satire was inspired by President Trump’s infamous travel ban order. Don’t Panic I’m Islamic involves hilarious thought-provoking performances by three stand-up comics Omar Hamdi, Esther Manito and Amrou Al-Kadhi, and inimitable Chair and Radio 4 presenter, writer and activist Bidisha: all of whom have contributed to recent Saqi Books anthology Don’t Panic I’m Islamic, which challenges a plethora of stereotypes and misconceptions surrounding the Muslim community. Essex County Council established the Essex Book Festival in 1999. Since then it has gone from strength to strength, becoming an independent charity with a Board of Trustees in 2011. The Festival is based within the Centre for Creative Writing at the University of Essex in Colchester.